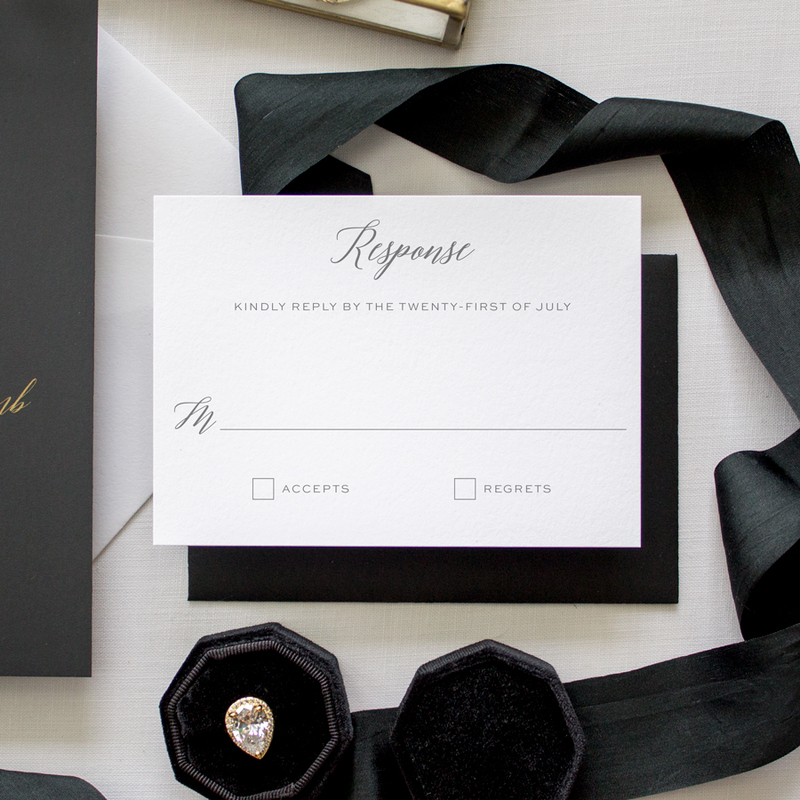 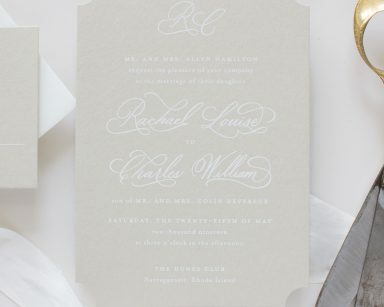 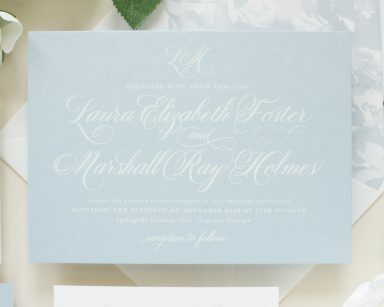 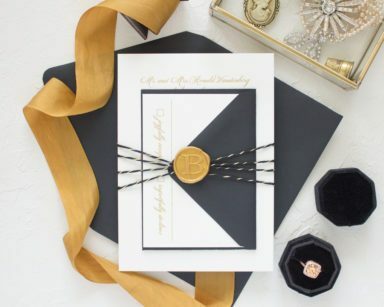 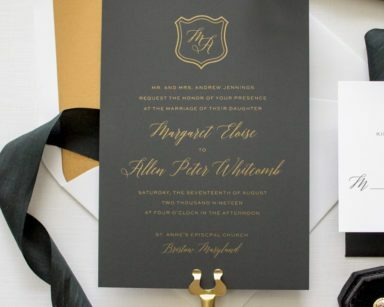 These metallic gold silk screen wedding invitations are printed on a luxurious black paper with a soft, velvety finish. 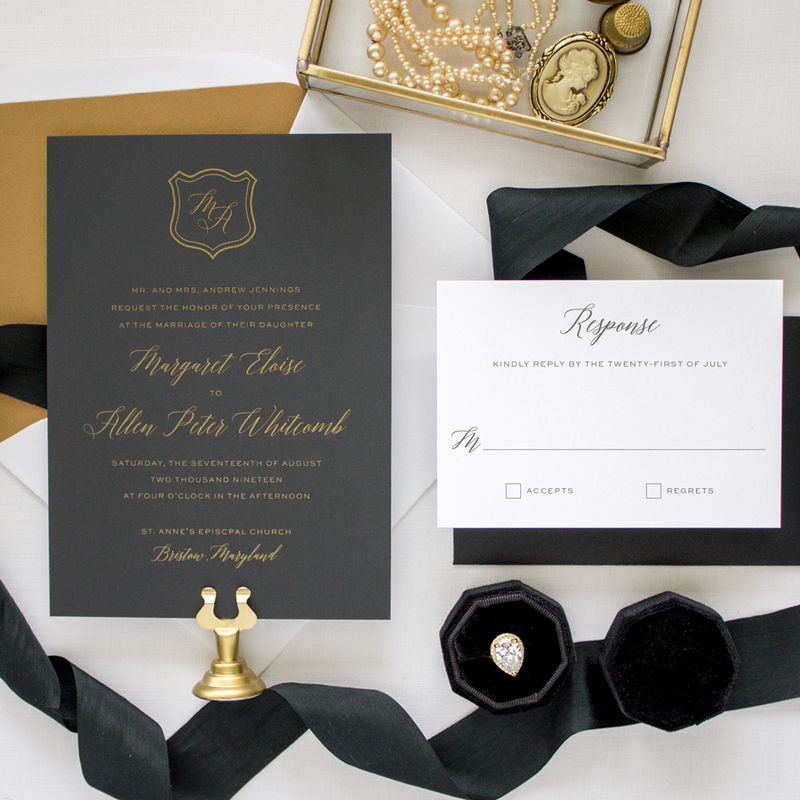 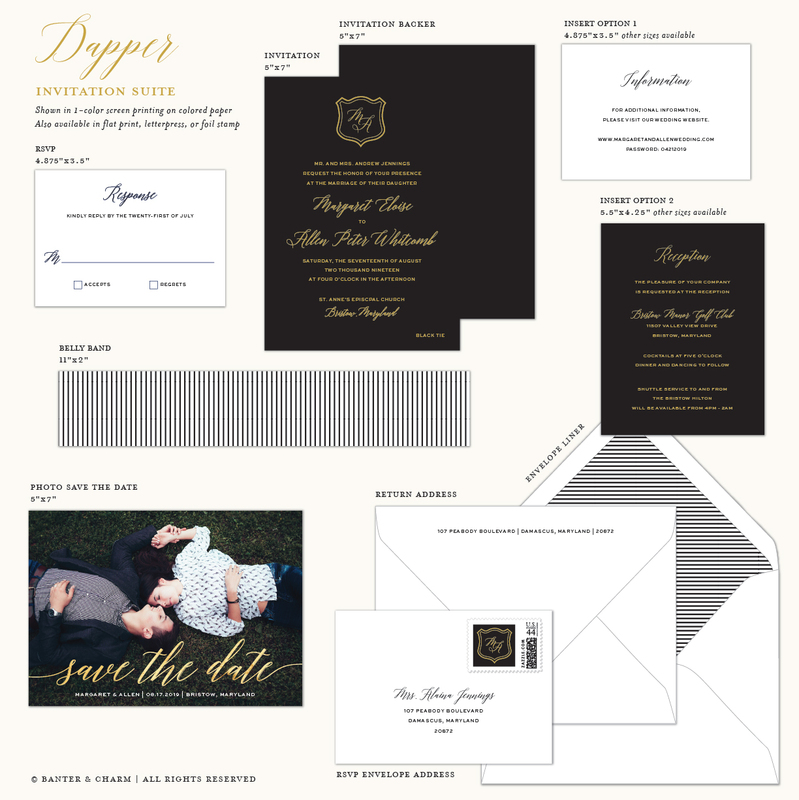 Featuring a custom crest monogram, wedding invitations this elegant are perfect for a formal wedding or black tie reception. 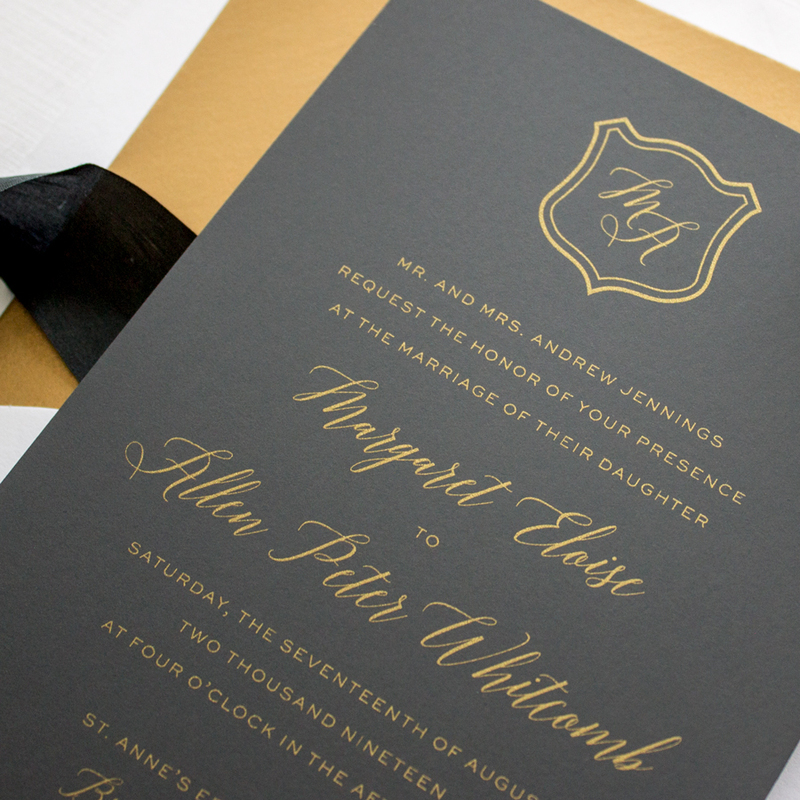 Other monogram styles are available.